A disgraced Nazi officer falls for a Dutch maid while guarding the former Kaiser. Since World War II was still being fought, there have been a plethora of films about the subject, covering almost every side of every angle. Thus, to justify another in 2017, the bar must be set high, and while The Exception might be a reasonable way to while away a Sunday afternoon, it's debatable as to whether it does enough to justify its existence. 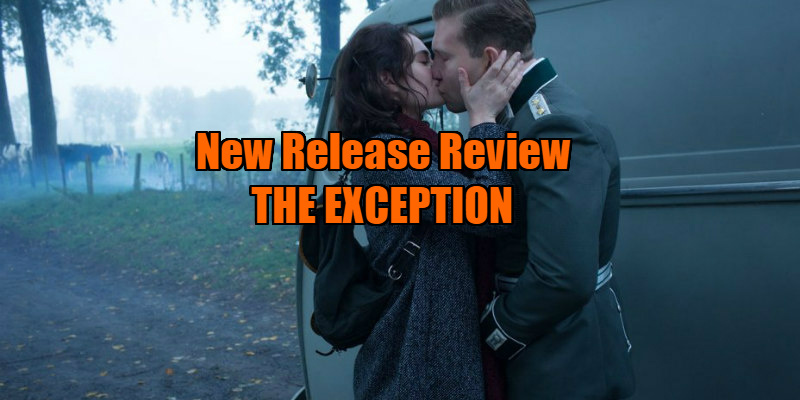 Based on the novel The Kaiser's Last Kiss, The Exception focuses on disgraced Untersturmführer Martin Krebbs (Jai Courtney), being sent from the front lines after a confrontation with fellow SS officers in Poland. He is ordered to guard the exiled former Kaiser of Germany (Christopher Plummer), who now resides in the Netherlands. As Krebbs begins a relationship with a maid at the Kaiser's home (Lily James) there is talk of a British spy in the town, as well as German plans to restore the Kaiser to the throne. I'm unsure of the film's title, as The Kaiser's Last Kiss feels much more evocative. This relates to my overall problems with the film, as it was often hard to feel sufficiently invested in proceedings. The lack of explosive confrontation and finality relating to the Kaiser himself doesn't justify a meandering build-up. Krebbs relationship with the maid feels more like a tryst of convenience, not the explosive passion that would justify their increasingly erratic actions. This relationship of the officer and the servant girl is as old as time, and reminded me strongly of the 2014 film Suite Francaise. Coupled with a standard aloof Gestapo agent and the hunt for a spy, the whole drama was often formulaic. This is a British cast playing German or Dutch characters, yet some actors have tried on clipped Queen's English, or Allo Allo attempts at German accents, or English with a Dutch lilt. It's so uneven as to be at times hilarious. Accents aside, the performances are a mixed bag. Courtney brings his thumping ordinariness to the British prestige picture, and it would have been preferable to have had an actor who could really delve into the moral maze that Krebbs has found himself in. James drinks up the screen, both clothed or otherwise, and any issues with her performance are more to do with a somewhat underwritten character. The film does not shy away from the virulent anti-Semitism that leaves the Nazis so scarred in the Western consciousness. It is an achievement of Plummer to both inspire sympathy as an elderly man the world has passed by, and revulsion as a naive peddler of ugly conspiracy theories. The absolute standout scene of the film features a dinner party with the Kaiser and Himmler (a memorable Eddie Marsan), reminding all of the horrors committed by those who took this nonsense seriously. The whole thing has a sound production design, though the casting left no doubt in my mind that for all the swastikas and uniforms, this was a peculiarly British film. A German language production could have added a level of legitimacy, and a plot with more twists and turns could have led to a greater investment in the Kaiser's last days. 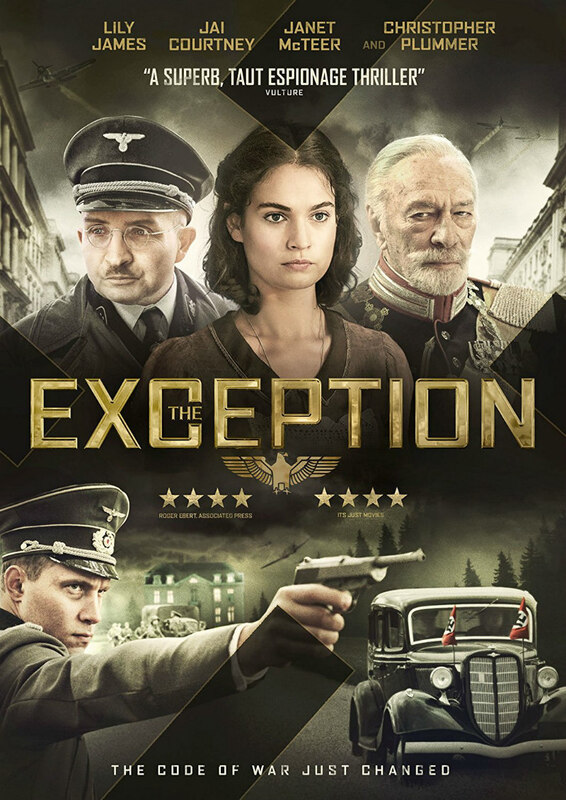 The Exception is in UK cinemas September 29th.